Thomson cruise and stay holidays offer a great way to fully immerse yourself in the local culture, as well as enjoying a variety of destinations, all wrapped up in one holiday. Thomson Cruises offer cruise and stay holidays to the Med and the Canary Islands throughout the year. Thomson cruise and stay holidays also offer great family friendly holidays to the Caribbean and Red Sea onboard their popular ships, such as the Thomson Dream. Thomson stay and cruise holidays are popular with families, groups and adults, offering great value cruises and sun-filled hotel stays at the beginning or end of your cruise. 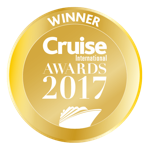 Cruise and stay holidays with Thomson are usually fly cruises, with Tenerife and Palma, Majorca among the most popular destinations to begin a stay and cruise holiday or to finish your Thomson cruise and stay. The Caribbean is also a popular destination for a stay and cruise Thomson holiday, due to its sandy white beaches and year-round sunshine — ideal for a winter sun break, or a summer escape.